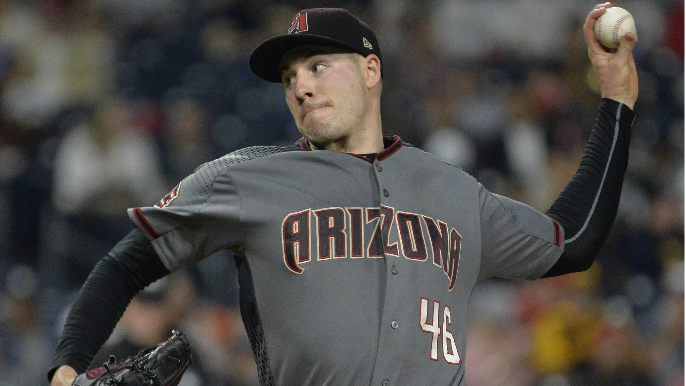 The San Francisco Giants are one of four teams expected to ‘show a lot of interest’ in Diamondbacks starting pitcher Patrick Corbin, according to Nick Cafardo of the Boston Globe. The Dodgers, Braves, and Yankees are also expected to pursue the 29-year-old. Corbin is coming off a career season in 2018, posting a 3.15 ERA/2.47 FIP with 11.07 K/9 and 2.16 BB/9 over 200 innings. The left-hander was also named to his second All-Star team. Corbin has spent his entire six-year career with the D-Backs, after being drafted by the Angels in the second-round of the 2009 draft. Coming off a season in which he set career-highs in ERA, strikeouts, and WHIP in 2018, Corbin is expected to command a multi-year, six-figure deal on the open market. He’ll likely be the most sought after pitcher on the market this offseason. The Giants enter the offseason in the market for another top-line starter, with Johnny Cueto expected to miss the entire 2019 season as he recovers from Tommy John surgery, and Jeff Samardzija coming off an injury riddled season. Ace Madison Bumgarner enters 2019 on the final year of his deal.